There are a ton of "Best Of 2016" book lists out there. Tons and tons. Well, here's one more. The caveats: I haven't read CLOSE to everything published this year. Out of the books I got to this year, these are my favorites. I made no attempt to balance this list for format, genre, or anything. These are my from-the-gut favorites of the year. They are in alphabetical order. 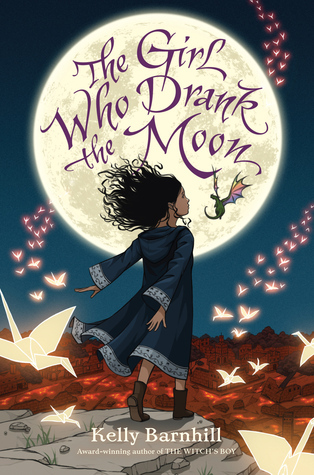 The Girl Who Drank the Moon by Kelly Barnhill (Algonquin Young Readers, August 2016). This book starts out with a town that has to sacrifice a baby to the witch in the woods every year. And a witch who has to rescue a baby each year because a town, for no reason she can discern, abandons a baby outside their walls about the same time each year. It goes on to have a lot to say about point of view and who holds the power and the power of stories and the words you use to tell those stories. And there is a lot of magic and a hilarious baby dragon that tags along everywhere. This is a book with layers, is what I'm saying. It wasn't a quick read for me, but it was well worth the time invested. 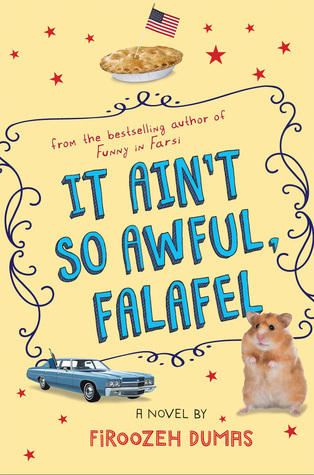 It Ain't So Awful Falafel by Firoozeh Dumas (Houghton Mifflin, July 2016). I love this one so much because it reminds me of the books I read and loved as a kid - Judy Blume, etc. Realistic fiction, sometimes funny, sometimes serious, and very character-driven. Cindy's adventures start out funny, but when things start to change for her immigrant family, she has to deal with more serious issues than her mom's funny English. This is a great choice for kids who like realistic, character-driven stories. 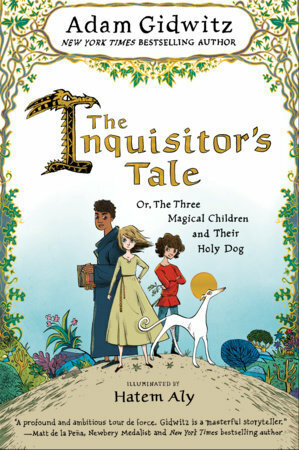 The Inquisitor's Tale: Or, The Three Magical Children and Their Holy Dog by Adam Gidwitz, illustrated by Hatem Aly (Dutton, September 2016). Modeled after the format of The Canterbury Tales, this is a funny, serious, adventure story of three kids and a dog in medieval France. There's a farting dragon. There are philosophical discussions about why people hate some groups of people. This is a book that has truly stuck with me. I can't stop pressing it into the hands of everyone I know (I made two of my employees read my ARC). Both kids who like adventure stories and kids who like to think seriously about their world will love this book. And that's no easy feat. 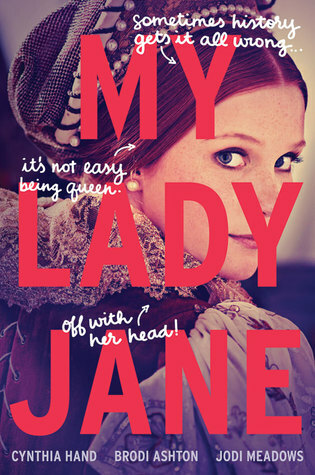 My Lady Jane by Cynthia Hand, Brodi Ashton, and Jodi Meadows (HarperTeen, June 2016). A wild romp from start to finish, this irreverent fantasy interpretation of Tudor history kept me on the edge of my seat and laughing out loud. In this reimagining, some members of the population have the ability to shape shift into an animal form, a thing that's caused a rift between them and those who are solely human. It's a funny adventure story with a nice dose of (chaste) romance. The audiobook narration by Katherine Kellgren elevates the text - her performance is amazing here. Who knew there was PLAGUE in AMERICA? Well, I didn't know, really. 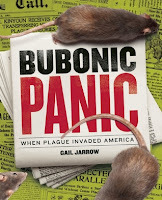 And Gail Jarrow brings the saga to life in her gripping narrative nonfiction tome. 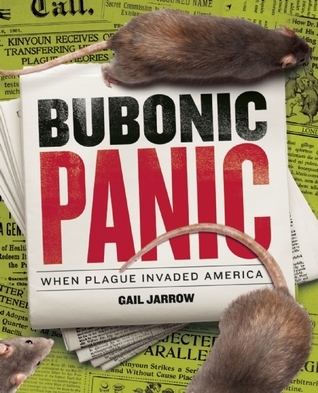 Seriously, this book reads like a crime thriller as it follows the history of bubonic plague and its infiltration of America via San Francisco. For those who enjoy gripping nonfiction and especially medical mysteries, this is a must. Ghost by Jason Reynolds (Atheneum, August 2016). This is another one that I keep pressing into the hands of everyone I know. It's a sports story with a GREAT voice. I am a huge sucker for great voices and Jason Reynolds is a master of voice. 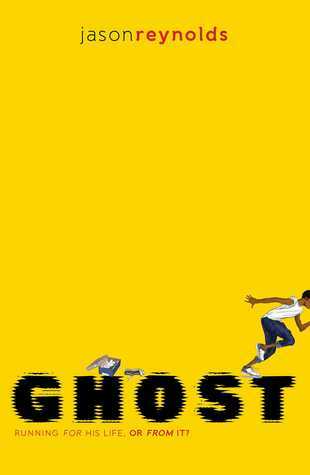 This is a story with a lot of heart and humor as the title character Ghost starts running track and learns what it means to be part of a team. The audio recording of this book, narrated by Guy Lockard, elevates it even further - I laughed, I cried, I added it to my booktalking roster forever. Some Writer! : The Story of E.B. White by Melissa Sweet (Houghton Mifflin Harcourt, October 2016). 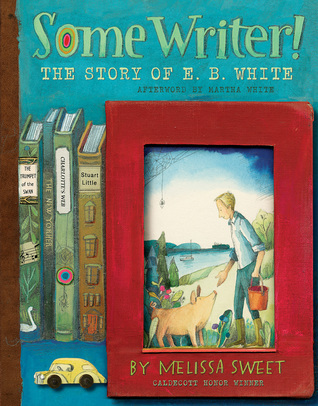 I don't know if you know about my everlasting love for Melissa Sweet, but this might be my very favorite book by her. She brings beloved author E.B. White to life and the art! The art! Her gorgeous watercolor and mixed media art perfectly matches the nature-loving author. The illustrations and the text compliment each other so nicely. 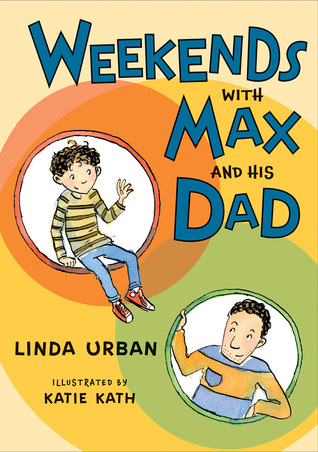 Weekends with Max and His Dad by Linda Urban (HMH Books for Young Readers, April 2016). Here is a book that knows how to show rather than tell. Although we're never TOLD the situation, Linda Urban paints a scene of a boy spending weekends with his dad during a time of transition for their family. This is a sweet story, a realistic book that will resonate with many kids who need it. It's never didactic. It doesn't give advice. It paints a picture. 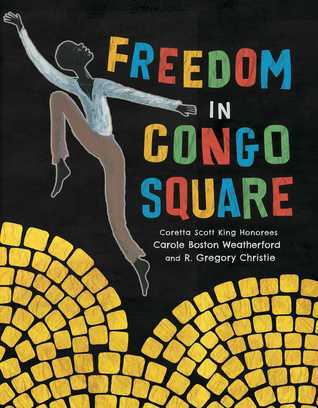 Freedom in Congo Square by Carole Boston Weatherford, illustrated by R. Gregory Christie (little bee books, January 2016). THIS is how you write slavery for children. THIS. There are no smiling slaves here, though the narrative is definitely aimed at a young audience. 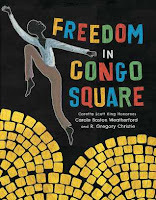 This picture book tells the true story of Congo Square, a place where slaves were allowed to congregate once a week, an event they counted down to all week. THIS is how you highlight brief moments of levity in slaves' lives without putting a smile on anything. 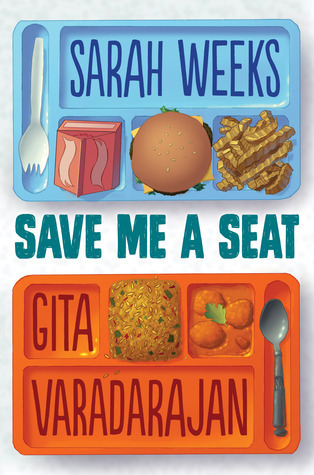 Save Me a Seat by Sarah Weeks and Gita Varadarajan (Scholastic Press, May 2016). Here is a novel that I devoured in one sitting. I started it one evening and just couldn't put it down until I was done with it. Told in two voices, by two authors, this is the story of two boys who have nothing in common... except a common enemy. I keep shoving this at any kid who mentions that the enjoyed Wonder (which is a lot of kids here).